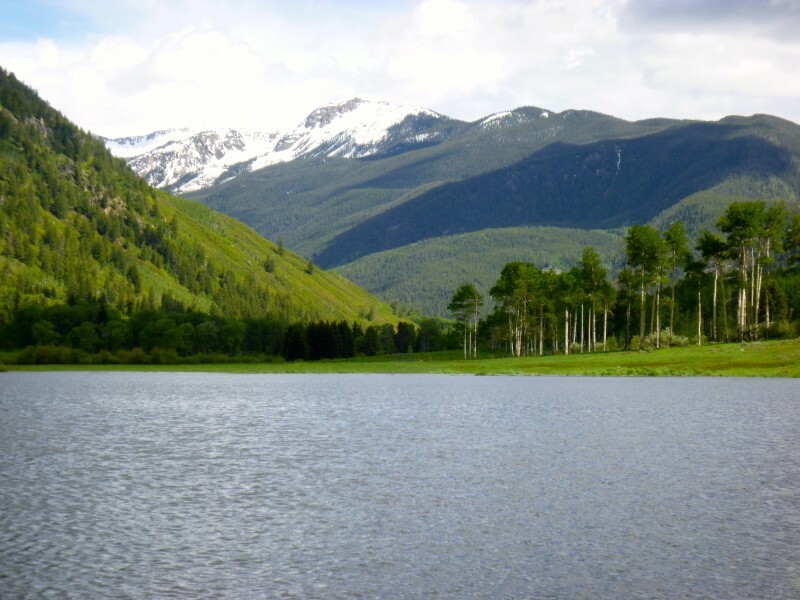 A large portion of the meadow in the North Star nature preserve east of Aspen was flooded this week, allowing boaters in the Stillwater section of the Roaring Fork River to expand their horizons. ASPEN – The Roaring Fork River could possibly reach flood stage over the weekend, depending on the weather. MacDonald participated in an interagency conference call Friday afternoon that included a discussion with weather forecasters. “They are expecting moisture through the weekend and for the rivers to rise,” MacDonald said. Today’s forecast for Aspen from the National Weather Service showed temperatures in the mid-70s and a 40 percent chance of showers and thunderstorms. A flood advisory issued by Pitkin County remains in effect for the Roaring Fork River near Aspen through Monday. The river was expected to keep rising until at least midnight tonight, when it is expected to reach 4.6 feet as measured on a gauge near Aspen. Flood stage is considered 5 feet on the same gauge, according to the county’s flood advisory. Brenda Alcorn, a senior hydrologist with the Colorado River Basin Forecast Center in Salt Lake City, said future peaks on the river will likely be driven by precipitation levels. The river, as designed, was flowing over the stones placed along the bank of the Roaring Fork River in Basalt on the site of the old trailer park. An engineer with the town of Basalt said high water was always expected to rise up and over the recently-placed rocks, but there was concerns Friday that the water take away topsoil that was about to planted - before the high water came. It’s been an unusual 10 days for the upper Roaring Fork River. 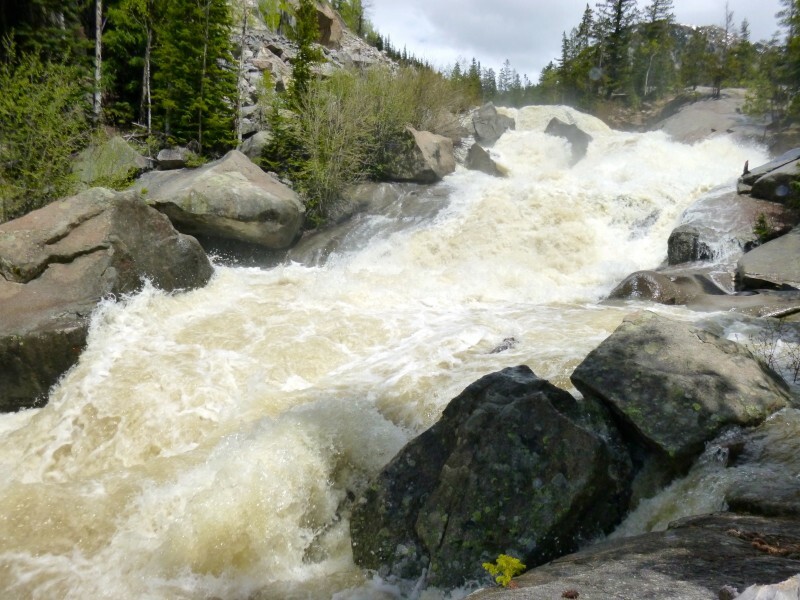 On the morning of June 3, the gauge on the Roaring Fork River at Difficult Campground at the bottom of Independence Pass showed the river tamely flowing at about 100 cubic feet per second. At the same time, about 500 cfs of water was flowing through the Twin Lakes Reservoir and Canal Company Tunnel Number One, which runs from Grizzly Reservoir to the North Fork of Lake Creek on the other side of Independence Pass. But because of concerns about flooding in the Arkansas River Basin on the east side of the Continental Divide, the Twin Lakes Reservoir and Canal Company, which controls the Independence Pass Transmountain Diversion System, shut down the diversion tunnel the evening of June 3 to a base flow of 3 to 4 cfs. 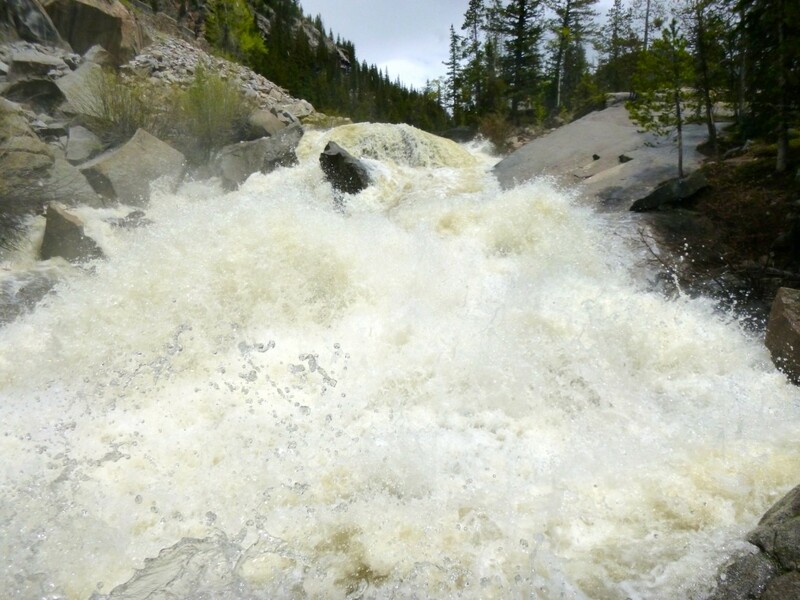 By midnight June 5, the Difficult gauge was showing that 900 cfs was now rushing down the upper Roaring Fork because of a combination of the river not being diverted, rain and snowmelt runoff. After a week of high water, the gauge at Difficult on Friday showed the river holding steady at 1,100 cfs. The Devil’s Punchbowl was a swirling maelstrom, the Grottos was a rage of cascading water and the meadow at North Star was nearly covered in water for the first time since the 1990s. The upper Roaring Fork River lives up to its name on June 11, 2015 as it roars down the steep descent at the Grottos area east of Aspen. Also on Friday, the Roaring Fork River below Maroon Creek was flowing at about 2,400 cfs, and at its confluence with the Colorado River in Glenwood Springs, the Roaring Fork was flowing at 6,000 cfs. The historic peak flow at this point is 11,800 cfs, which was recorded July 13, 1995. 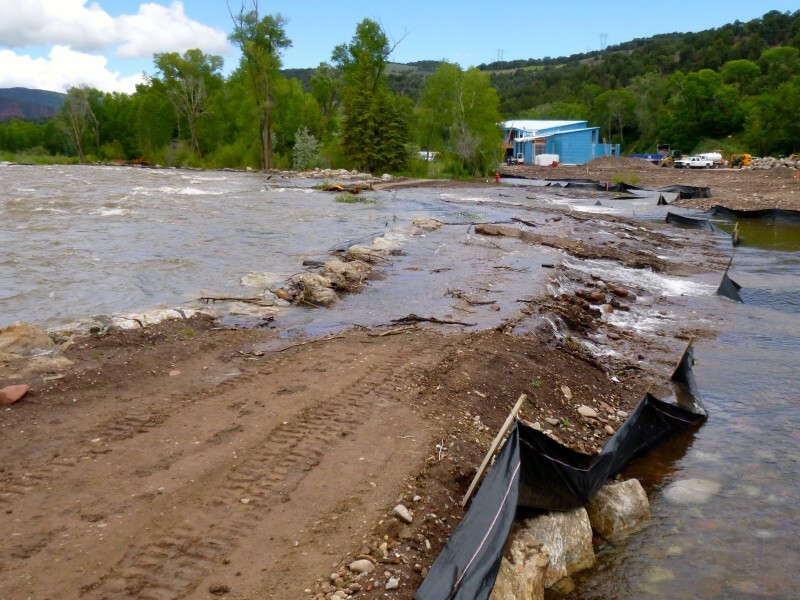 After seeing Thursday that the Roaring Fork was heading toward flood levels, the Twin Lakes company began diverting water again — about 200 cfs — in a cooperative effort to help “shave off the peak flow” in the upper Roaring Fork. But after the Friday afternoon conference call, the Twin Lakes company decided to shut the diversions back down again after only a day because of ongoing concerns about flooding on the east slope, especially as Twin Lakes Reservoir is 90 percent full. 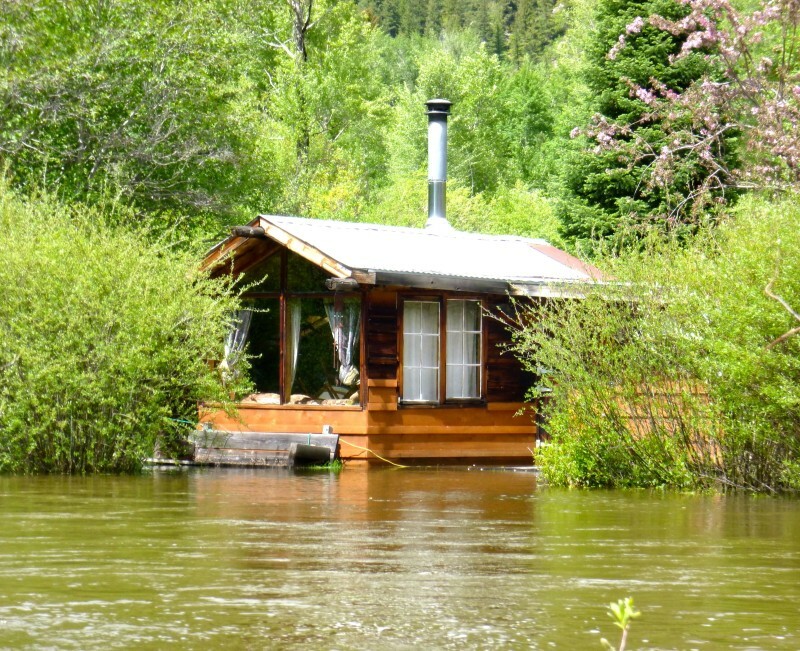 This cabin along the Roaring Fork River in the Stillwater section of the Roaring Fork RIver has taken on some of the week's high water. According to Edgar Boyles, who lives upstream, the cabin was built in 1965 by Charlie Bolte, who Boyles described as a hermit, philosopher and iconoclast. MacDonald said Friday evening that only one report of property damage had come to the county so far, and that was for an old cabin that sits right on the Fork in the Stillwater section east of Aspen. “Some of the older houses along the river flood when the river floods,” MacDonald said, noting that emergency responders would be on alert this weekend for flooding throughout the watershed. She also urged caution for boaters and anyone else taking part in recreational activities near the river this weekend. Editor’s note: Aspen Journalism is collaborating with The Aspen Times and the Glenwood Springs Post Independent on coverage of rivers and water. The Times and the Post published this story on Saturday, June 13, 2015.